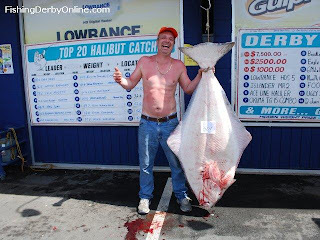 Update on the Island Outfitters Halibut derby....the winning fish was 132 pounds caught by Shawn Melinchuk at Constance Bank. 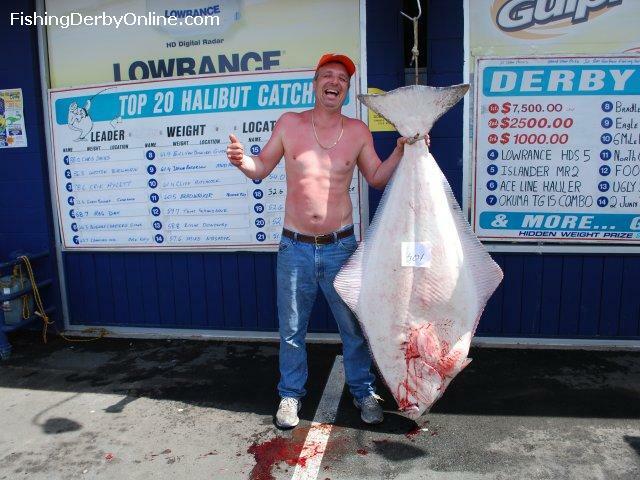 Nice fish and nice $7500 prize. In total, 129 halibut were weighed in, right down to a 12 pound chicken -- which by the way is still a pretty good meal or two of fresh fish n chips! 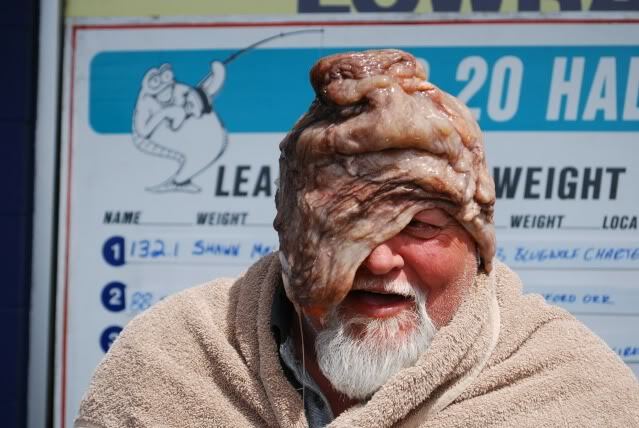 And "porcupine" posted this story to the SportsfishingBC forum On one boat, the angler who caught the smallest halibut for the weekend had to wear a dead octopus on their head at the weigh in for a full minute ... nice to know people will follow through on a bet! As for salmon fishing ... we continue to hear reports of nice hatchery spring salmon being caught, 8-15 pounds, in the 80-120 depths, from Sooke Harbour to past Otter Point. Certainly worth sinking a line, as the only certainty of not catching a fish is if you don't give it a shot.